Books, my cat and dog, faith, family, gardening. I am a widow and retired. I love this French TV series "Call My Agent" about the talent agents at the fictional biggest movie star talent agency in France. The main character is Mathias, played by the incredibly handsome and debonair Thibault de Montalembert and Camille Cottin plays his main rival in the agency. On a fun note his daughter joins the agency against Mathias' wishes and they need to keep her identity secret. A big plus is that world famous actual French actors play fictionalized versions of themselves, a different actor in each episode. The client actors are needy, demanding, gifted and need careful handling. 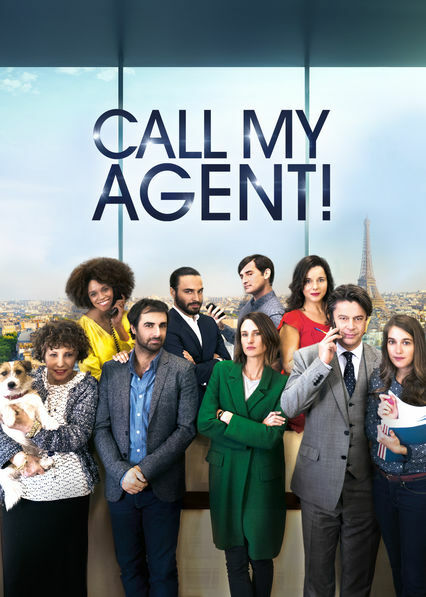 In one episode the client actor gets so far into character of a crazed loner that he can not leave the character and begin his next acting job, so the agents have to help him in a clever way return to the real world. This show has 4 seasons, 2015-2018 and I hope for more. I am watching it on Netflix. Still Game is a very funny Scottish TV show, set in the fictional Craiglang area of Glasgow. Two life long friends are played by Fred Kiernan and Greg Hemphill. They are pensioners who live on tight budgets in a stark high rise building. The guys and their friends get in to trouble with their mad cap plans and escapades. In one they visit one of the newfangled warehouse stores and get locked in at night. They set up tents and a grill and forage for food and beer in the store. The bartender, Boaby, at the Clansman (their local pub) and Isa, a kind hearted gossipy lady who earns a bit of money cleaning at the local convenience store are two of the great characters. I watch this on Netflix. It has about nine seasons, beginning in 2002 and they made a final season in 2018. I am happy to see there are 56 episodes. When my oldest son comes over to visit and hang out we watch an episode of Still Game, he loves it too. My youngest son and I like the comedy Corner Gas, a Canadian show. I chose these two shows for my post because I think they are not as well known in the USA as I think they deserve. Are there any shows you have discovered and want to share in the comments? To clarify, I am in the USA and watch both of these shows on Netflix. One blog friend says she wishes these shows would run in the USA and the good news is, they do if you subscribe to Netflix. and how do you see these shows in the US? These sound like fun shows. I actually have never been one to get hooked on series, but a month or so ago, I finally watched a show on Acorn called A Place To Call Home. It is filmed in Australia and is a family saga type series with the saga beginning right after WWII. My sister told me about it several years ago, and when I finally started watching it, I was hooked. Acorn is an extra expense, but it had British series, so I think I might keep it after I am done watching A Place To Call Home. These both sound good. I'll have to look for them. We love Midsomer Murder on Netflix. It's from England and is an older series, but very good! I'm really looking for shows to watch...thank you for these recommendations, my friend! I think I would enjoy Still Game, as I am always looking for something to laugh at and enjoy comedies. I am looking forward to the return of Grace and Frankie on the 18th. Although it may be considered R rated, the humor, and especially Lilly Tomlin are hysterical. These sound intriguing but I don't have Netflix. Sigh. We need something new to watch and will try these out. Thanks for the recommendation. I love Acorn. It has some excellent Australian and British shows. Check out 800 Words, Heart Guy and Brokenwood. Carole asked if the French show is dubbed or subtitled. 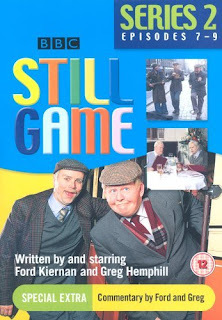 It is subtitled, and I use subtitles for Still Game too, since they use words I haven't heard before, of Scots origin. Sally thanks for recommending A Place to Call Home, on Acorn TV. I subscribe to Acorn, I think it is only $4.99 a month and that show sounds like one I would like. I put off watching Call the Midwife for years, and began watching it recently, another excellent show. I love hearing about new shows to watch...keep up these posts, and your book choices! I haven't heard of Call My Agent. Is it in French with subtitles? Sounds good. I am a mom, a widow, retired, live with my cute dog and cat, like to garden, read and write, and I love to giggle and I love what is true. I co-authored 2 Christian books, Scrapbook of Christmas Firsts and Scrapbook of Motherhood Firsts. On Amazon, only $13, hardcover, full color. What if you are both creative and tidy? ?